The Australian fruit market is growing, especially the export market to Asia. The lucrative markets in Thailand and Indonesia provide an enormous opportunity for Australian pear producers to capitalise on the positive perceptions of Australian-grown produce in these countries. Little is actually known about consumer preference and drivers for choosing pears in Indonesia and Thailand. 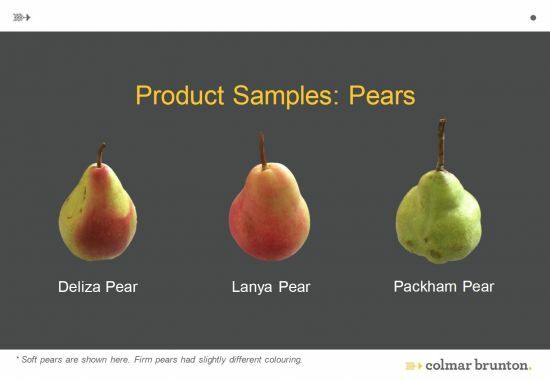 To understand the appeal of ANP-0131 (marketed as Ricō®, previously known as Deliza®) and ANP-0118 (Lanya®) Pears, current and future usage, and purchase behaviour of pears. Determine likability of texture, sweetness and crunch, and determine triggers and barriers to usage and purchase. The research objectives focus on understanding consumer preferences that will influence pre and post harvest decisions that produce fruit for markets and consumers across Asia. This will grow market opportunities by delivering fruit that match consumer expectations. Australian fruit growers and marketers have a better understanding of what international consumers are looking for when purchasing fruit, thanks to a series of consumer preference surveys carried out in Thailand and Indonesia. 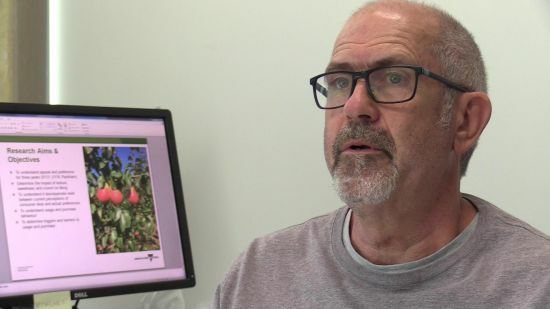 Agriculture Victoria Project Manager, Bruce Tomkins said there were huge opportunities to grow the market for Australian pears in both countries. “To do this however, marketers need to understand what shoppers want and prices they are willing to pay,” Mr Tomkins said. “‘Australian grown’ was identified as a key driver for sales in all markets, but we need to provide the right cultivar of fruit, with the right physical attributes, including colour, texture and taste, at the right price,” he said. Mr Tomkins also said now Australia had legal market access to mainland China, exports could be shipped directly to their target markets, giving Australian growers and marketers more supply chain control and influence over the condition of their product when it reached consumers. A price point under 70,000 IDR (AU1 $6.51) per kg for Indonesia and under 269 TBH (AU$10.831) per kg for Thailand is preferred. International supermarkets are where Indonesians like to buy fruit. Fresh Markets are the choice of Thai consumers. Indonesian and Thai consumers prefer to buy pears individually in loose formats one to three times per week. Consumers in Indonesia like to buy pears because they are healthy, and the whole family likes them. Thai consumers buy pears because they taste great and are versatile. “The information collected is being used by industry to make decisions on what fruit to invest in and grow for export,” Mr Tomkins said. The study, funded by the Australian Government through the Rural Research and Development for Profit program, with co-investment from Horticulture Innovation Australia and Agriculture Victoria.